Once a year, Broadford becomes a sea of antiquities, embracing the ye ole' saying that one mans trash is another mans treasure. Love your club. Be part of our journey in 2019! Football training will be running Tuesday & Thursday from 6pm at the Broadford Secondary College as of this week. Due to unforeseen circumstances, Aaron 'Skip' Bray has unfortunately had to resign from the role of president of BFNC for season 2019. Please see attached two documents which provide a detailed overview of the rule and interpretation changes announced in late 2018. 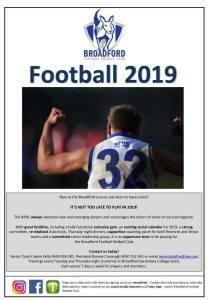 Established in 1890, the Broadford Football Netball Club has proudly been representing the Broadford community in Thirds, reserves & senior football, as well as being strongly supported by C, B & A and other age grades of netball teams. With the final training session being a bonding experience and to be followed by a dinner at The Commercial Hotel (Top Pub). New players welcome - join the BFNC Family. 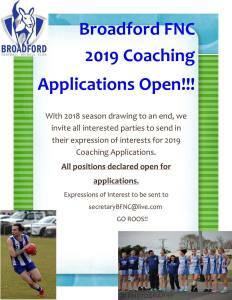 Interested in becoming a coach in season 2019?! 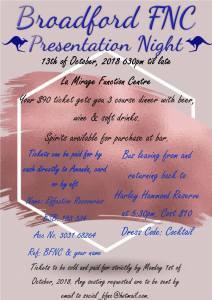 Celebrate the end of season 2018 by joining us on the 13th of October at our Presentation Night. 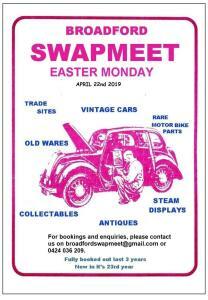 Planning is well underway for the 2018 Broadford Swap Meet Easter Monday 2nd April . BFNC are holding selections for the following teams:A Grade, B Grade, C Grade & U19s, Scholarship Training Group. 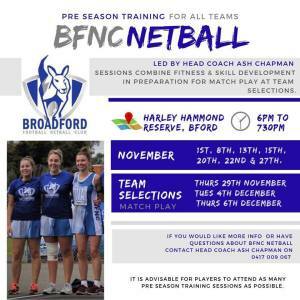 Selections will be ran in accordance with the BFNC Netball Selection Po- overseen by Head Coach Ash Chapman. Interested players must register in advance for each session - it is preferable that interested players attend all 3 selection nights. Our AGM will be held Wednesday 18th October 7.30pm at Harley Hammond Reserve Club rooms. If you want to get involved at an executive level or at a general committee level please put your hand up . A big congratulations to all our 2017 Best & Fairest winners and runners up! Broadford Football Netball Club Regretfully announce “Our Reserves are unable to fill a team Saturday against Sunbury , We have informed Sunbury Kangaroos and the RDFNL of our situation and the need to FORFEIT . We can hopefully re group in coming weeks and get a team on the park to finish the season . COMMITTEE MEMBERS WANTED FOR 2018 | We're looking for fresh faces to step up and help our football club continue to steer in the right direction! If you think you are able to fit the bill, please email Greg or Paul at secretarybfnc@live.com . Broadford Football Netball Club invites you to the Harley Hammond reserve clubrooms on July 8th for a Trivia Night! All efforts to get an under 18.5 side this year have been made to no avail. Details for Sundays practice game. Players to arrive 11:15am for 12:00pm start. Details for todays practice game. 412 Williamstown road port Melbourne. It’s going to be a 6 quarter game split into two halves for u18/ reserves followed by the seniors. BroadfordFNC Netball on the edge of collapsing !!! Broadford Football Netball Club ,will officially open our new Coaches / timekeepers box & LED Video Scoreboard . Next Thursday April 7th former Richmond AFL Coach and AFL Umpire director Jeff Gieschen will be a guest speaker along with a Q&A session at Broadford FNC . $10 entry all welcome kids under 15 accompanied by Adult free .Meal available at canteen prices & fully licensed bar . Due to Hadfield cancelling at late notice this weeks launch is still going ahead with a changed format ,the footballers will play an intra club match , netballers will play Hadfield TBC Thursday.Club Sponsors are invited to attend this event . Broadford Football Netball Club members enjoyed a great season 2015 the “Resurgence” of our Club is getting great reviews. The club is pleased to announce we have retained Senior Coach Aaron ( Skip ) Bray for season 2016 ,also Brodie (Dutchy)Holland has committed to a playing assistant coach role , along with former Bowen Medalist Gavin Langbourne as sidelines assistant coach . 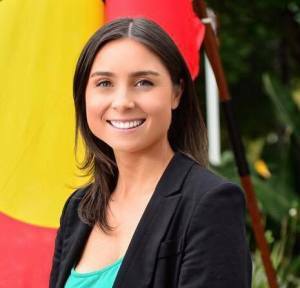 2016 Under 19 Netball Coach. Volunteers required this Tuesday Night from 5.30 help clean up the club before we hand over to the Cricket Club, a couple of hours will go along way to helping the current crew of volunteers. Saturday 26th September Presentation Night 7.00pm sharp start. All Past &Present Footballers Netballers,Life members ,current members and supporters welcome to attend . 2015 Man O Man Event Saturday 27 June after the Diggers Rest game ! BFNC welcome aboard the following sponsors to the club in 2015. Holland & Robertson Broadford bound. Two Community groups come together to raise funds to help running costs for both Groups ! Friday 6th March first practice game for 2015. All 2014 Players wanting to Re-register for Broadford in season 2015 follow the link to online registration ( Compulsory for all footballers) PLAYERS must self register ! IT'S OFFICIAL!! At a recent Committee meeting the board endorsed Steph Ryan as Broadford Fnc Number 1 Ticket holder for 2015 . 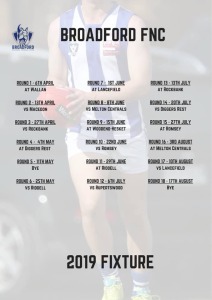 All roads lead to Broadford Sunday 10th August ,Support the club in 2014 if you want a club in 2015 ! Other Players are obliged to purchase a ticket football and Netball ! A partnership between Broadford Football Netball Club and Mcrag Foundation will see New Goal posts installed at Harley Hammond Reserve / 2014 Naming rights Sponsor Nagambie Rock Oval ! Broadford Football Netball Club ,Life Members ,General Members,Sponsors,Players,Supporters ,Volunteers .Tuesday 17th June 7.30pm a Special General meeting will be called for and advertised the week proceeding as the constitution states. We appreciate your cooperation during this time and request you speak to us direct for any information . Saturday 12 April No Under 18 Football ,Due to lack of players Lancefield have forfeited the match. 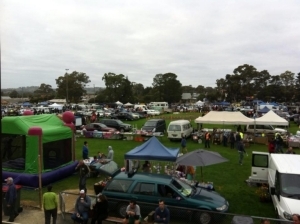 Venue Nagambie Rock Oval @ Harley Hammond Reserve Broadford. We are considering a new policy regarding. 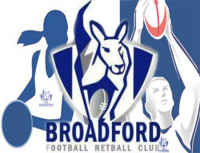 logoWelcome to the Broadford Football Netball Club Team App website. Skip and the football department have been busy organizing the build up to season 2014! 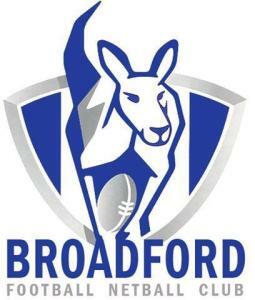 2013 Broadford Football Netball Club. Christmas BBQ & Drinks . RDFL Bowen and Ryan Medal Night! BARRY HALL TO PLAY 300th SENIOR GAME! Pre-Season is going along well! Attention all potential BFNC netballers for season 2013! 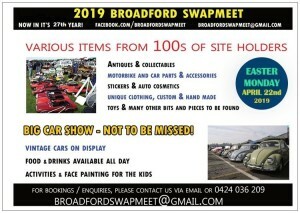 Lancefield vs Broadford & Romsey vs Broadford notes. Broadford defeats neighbouring rival in Kilmore!